✅ Trip Verified | Copenhagen to Barcelona via Prague. Terrible experience. After being told I had to check my baggage I also had to pay 30€, then they did not get my bag or anyone else's on the transfer, bags on the second flight and we were left without for almost two days. I also was left on stand by without being told at any point when buying my ticket that I was. And so were at least 20 other passengers. The customer service was terrible and they would not even give me a glass of water. I will never fly this airline again. "flight time is just a concept"
✅ Trip Verified | Nice to Prague. From early in the morning, one hour and twenty minutes of delay. It seems like the new standard for this airline as it is one of the so many this year. OK used to be a fairly good company, but now flight time is just a concept and connecting in Prague is like playing at the lottery, hoping you will get the winning ticket. "like an early-days budget airline"
Not Verified | Prague to Madrid. Really nothing positive to say about this airline. Flights delayed both ways. I saw staff behaving aggressively to other passengers. Cabin was dirty. It's run like an early-days budget airline, without budget prices. Don't fly with them if you have other options. 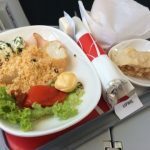 ✅ Trip Verified | Flying Czech Airlines or SmartWings (same company) is like a russian roulette. No one knows if everything will go smoothly or not. In my case, it was OK. For the price do not expect much. No free catering, uncomfortable seats, staff is fine though. I mean for flights within Europe (2-3 hours) it is decent and still better than flying Ryanair and others. Still choosing between Finnair and CSA on the same route again, I would definitely go for Finnair. ✅ Trip Verified | Prague to Copenhagen. Horrible, we all got treated like a sheep walking from gate to gate and waiting first hour, then two, and at the end 4 hours. Never ever again will I choose this airline even if they would pay me. It has always been a trouble making airline. Never without a delay. Could at least be honest at the beginning and tell us come 4h later morons. "disgraceful how they treat foreign passengers"
✅ Trip Verified | Prague to Paris. I flew with CSA after very long time, so I was curious what to expect. Boarding was quite smooth, except that airport staff wasn’t very friendly and were having laugh about none Czech speaking passengers, which I find very ruth. 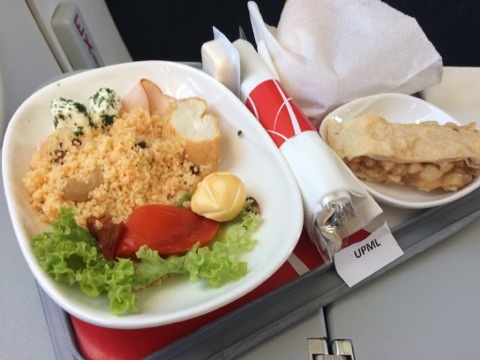 Seats on plane were ok, but nothing special, the bad experience started when they were serving food. On menu it says, that they accept Czech and Euro currency and most of CC cards, so I handed 500 czech note to pay for my food and was told, that they have no change to give me back(talking about Czech currency on board of Czech airlines) that I should pay in Euro or card, so I handed card, without asking if I want to pay in Euro or Kc, charge me Euro price, which is always worst rate, than your cc bank rate. When I complained about it, I was told there is nothing they could do about it. So I asked for refund and returned what I purchased, you should should see the faces of crew when I told them that I understand Czech and heard how were they talking about the issue, it’s absolutely disgraceful how they treat foreign passengers. I will think twice before I buy next ticket with this airline as their attitude can completely ruin your journey. "you can get good price"
✅ Trip Verified | Prague to Helsinki. My 2nd flight with CSA,actually it was SmartWing's plane as they now operate many CSA flights. 14 yr old Boeing 737. Many times CSA flights are delayed, so i was a little bit worried. But this was on time. The price (50eur) included one normal size cabin bag of 8kg. Service was ok. No complains there. Food and drinks were available to buy. I bought some Czech beer and a delicious panini, not expensive at all. CSA has a little bit bad reputation (mostly because flights are delayed) but many times you can get good price, so they are worth trying. "even water is not free"
✅ Trip Verified | Copenhagen to Prague. After observing the abuse by the gate staff, I did a little research and Czech airlines was sold to a private company Travel Service based in Prague and is now privately owned. Their obvious philosophy is to get as many 50 euro checked bags as possible. Seats are crammed and even water is not free! Check in procedure is terrible, gate staff rude (contracted out to Menzies) and confirmed by many reviews. I am a dual Czech / Canadian citizen and do not understand why the Czech government does not put a stop to this company. For many tourists an airline is the first point contact. Do not get discouraged by the airline, book with someone else and enjoy one of the most amazing cities in the world! "the legroom was very small"
✅ Trip Verified | I took early morning flight from Paris-CDG to Prague-PRG. There were no services available on board (wifi, entertainment system), but the flight was very short (like most of EU flights) so it really doesn't matter. Flight was late approx. 1 hour because of previous delay. We were flying in very old Smart Wings aircraft which was very noisy and overall uncomfortable. 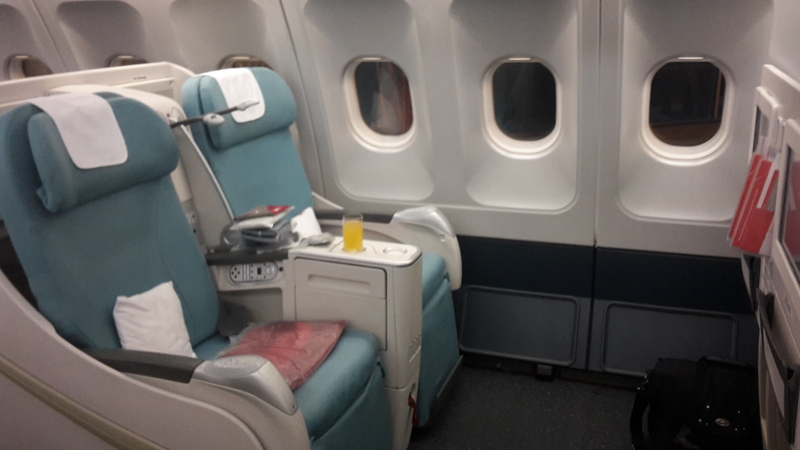 Seats were made of leather, which was great - because they were warm all the time, but the legroom was very small. The crew was very kind, but the prices of food on board were really high. Despite that, CSA offers really the best prices for cigarettes on board among EU airlines. It is very traditional EU low-cost airline. 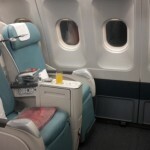 In fact, I have nothing to complain about expect the old aircraft and ticket price.